Christmas and New Year's celebrations at the Mandarin oriental. 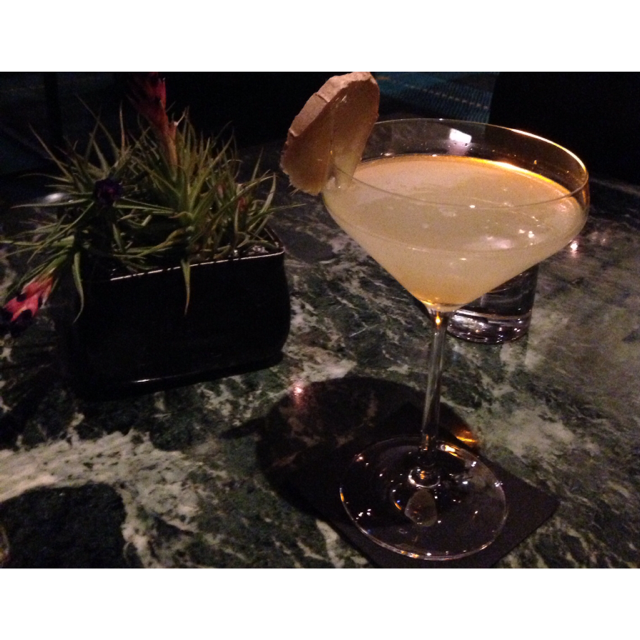 My favorite: the Banker's martini. I remember when, few years back, The Mandarin Oriental opened in Barcelona. Wonderful and luxurious setting in the heart of the city, I had visited the hotel, rooms and the wonderful spa. I have gone for brunch and lunch various times, and have been going since then at The Banker's Bar. Calm and positive atmosphere perfect for one of those stressed days. Now that the Festive Season is here, if you are spending it in Barcelona, here are some of the options they are offering to bring the New Year, in a sublime manner, the way you deserve it. The menus at continuation are not vegetarian, if you are, please call them and ask them for the options. 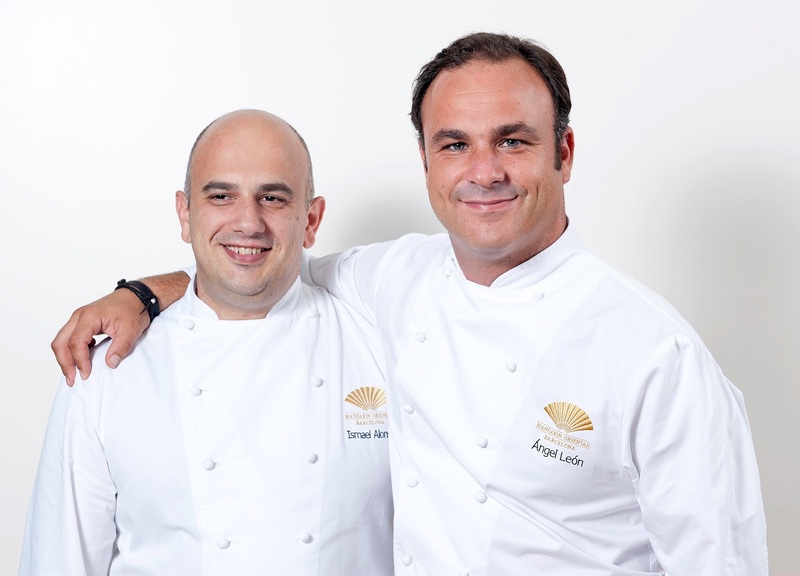 The Mandarin Oriental Barcelona, with the chefs Carme Ruscadella (with 7 michelin stars) and Ángel León ( recently awarded 2 michelin stars for his restaurant Aponiente) will offer us an avant-guarde celebration to take us to the height of gastronomic nirvana. 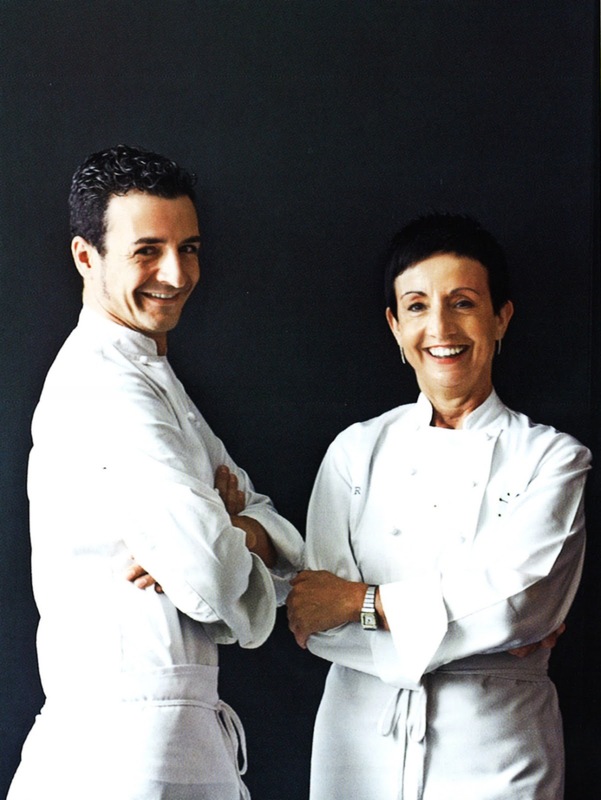 -For Christmas eve , Carme Ruscadella and Raül Balam at Moments, will offer a sophisticated menu consisting mainly of lamb and foie gras, crayfish combined with rich vegetables. 180€ pp or 260€ with wine pairing. BistrEau by Ángél León, Ismael Alonso will offer seafood starters, octopus salad and a Mar i Muntanya rice. Mar i Muntanya in Spain means a combination of seafood and meat, for instance sea cucumbers and fine pork will be served. The main dish will be lamb, and it will finish with a dark chocolate and red fruits desserts. -For Christmas day, tradition will be present in both the places with the traditional stew followed by some exquisite delicacies at Moments and BistrEau. - Here in Catalunya we celebrate Sant Esteve, december 26th. There will also be a special menu at both the places. - For New Year's eve: At Moments the menu will consist of bass with a fine parsley sauce or roe deer among other delicacies. At BistrEau the menu will be a Mar i Muntanya menu accompanied by the traditional grapes: the 12 uvas de la suerte with special spices. 340 € pp with wine pairing included. - On January 1st, to welcome the New Year, BistrEau will offer a special brunch for 110e (drinks not included) and a special menu of Reyes (Jan 6th) for 90 €. Banker's bar will be also offering their special cocktails all these days including on New Year's eve. 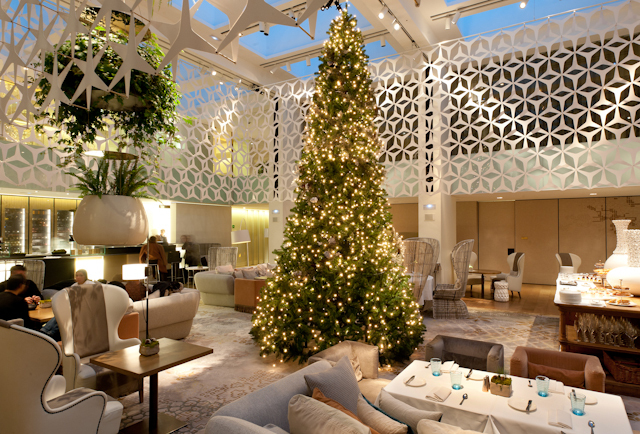 Once more this year The Mandarin Oriental will have a special Christmas tree. Collaborating with Soñar Despierto foundation, cards from the homeless children will be hanged on their tree. Anyone can collaborate making these children's dream come true. Ángel León and Ismael Alonso. Carme Ruscadella y Raül Balam.